This is for rants against politicians who aren’t exactly using all the brain cells that they were given. I just love the joke of it! I have done a fair amount of graphic work for my own marketing and advertising and for a few clients. I still do pretty much writing and editing for several publications, in particular, these days for the ADHD Coaches Organization. Sometimes I think of these kinds of headlines myself. But generally someone else tells me they’re inappropriate or I chicken out before I actually use them. 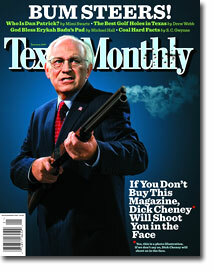 I admire Texas Monthly for having the stones to use this cover! So what’s this got to do with me and Map the Future? Coaching is all about the client and not about the coach… or what the coach might think is funny or not. It’s likely you’d never see this side of me in a coaching relationship. So, while I think working with me should feel fun, or at least not onerous, sharing these little bits of my humor in my blog show more of me than you might see when we work together. I hope that you’re not offended by what I find humorous. But if you are, then maybe we’re not the best match. But if you feel like we might be on the same page because of my humor, that’s a good thing. This entry was posted in General, News and Politics on 11/4/2007 by Kerch McConlogue. Is MySpace the New Pot? Today, checking on a candidate’s past drug use is as common as checking on the attitudes and dalliances of his youth. It’s part of the business of politics. Tomorrow, it will be checking them on the internet or in the archives of ancient online BulletinBoards, UserGroups, MySpace,YouTube and other such on line social networks. In my opinion parents today go way over board by teaching children to fear strangers. We all need healthy respect for that with which we have no experience. We don’t (please tell me you don’t) send money to Nigerians who send emails offering us millions of dollars for our help. We don’t eat food we find in the street. We can be polite if someone asks for directions. But we don’t get in the car with them to take them to their destination. Respect vs. fear. I am not making a statement about drugs here. Don’t suppose I am. Don’t infer it. I am not talking about drugs. However, I am talking respect. We must not fear MySpace or the internet. We must be careful; we must it wisely. Because in the end, the ether is absolutely NOT PRIVATE. And your mother WILL find out what you did here. This entry was posted in Geekness, General, News and Politics on 1/8/2007 by Kerch McConlogue. In the Jan. 26, 2006 online issue of Discovery News, the article Dollars Reveal How Flu Could Spread outlined a pretty interesting fact about the spread of this year’s dreaded Avian Flu. Flu pandemics generally spread slowly in the past. But now people travel farther and more often. So it made sense this year to fear that the Avian Flu might spread around the globe seemingly in an instant. But that just doesn’t seem to be the case. 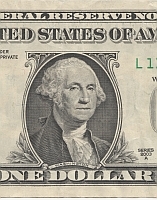 Here’s what some German physicists are suggesting based on what they learned from the Where’s George website’s tracking of the movement of U.S. dollars. They found that the banknotes mainly dispersed in a series of random steps over small distances, with occasional long hops, and there were long waiting times between displacements. What emerges to replace the one-size-fits-all model is the belief that human movement, despite all its apparent randomness, can be mathematically predictable if important local parameters are factored in. I love it when math is the answer… or at least part of it. And it is nice to be reminded that everything bad in the world won’t blow up tomorrow! The study appears in Nature, the British weekly science journal. This entry was posted in News and Politics on 3/9/2006 by Kerch McConlogue. How long should a reaction take? Former FEMA director Michael Brown aggressively defended his role in responding to Hurricane Katrina on Tuesday and put much of the blame for coordination failures on Louisiana Gov. Kathleen Blanco and New Orleans Mayor Ray Nagin. “My biggest mistake was not recognizing by Saturday that Louisiana was dysfunctional,” Brown told a special congressional panel set up by House Republican leaders to investigate the catastrophe. Here’s what I don’t get. How come he didn’t know until Saturday? I’m not saying that Louisiania was dysfunctional at all. But if Michael Brown was inclined to think they might be, how come it took five whole days to decide? I understand that deciding is a problem for alot of people. But if you are in a position that requires you to react… like say an emergency management job… then I think maybe a mean time between action and reaction should be something less than five days. Katrina was a big problem, requiring a big action. And I understand requiring more than five minutes to decide what to do. But waiting five days? That just seems excessive. I wonder how long it takes Michael Brown to choose an entre from a two page single spaced menu? This entry was posted in News and Politics on 9/28/2005 by Kerch McConlogue. Why is there no burn with this crashing?